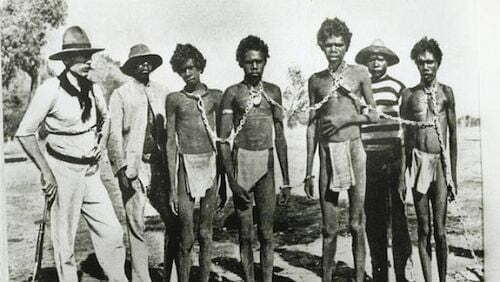 The ABC reports, Indigenous leaders from across the country have outright rejected the idea of mere recognition in the constitution, instead calling for a representative body to be enshrined in the nation’s founding document and a process established working towards treaties. The Uluru Statement from the Heart is the result of three days of deliberations during the national gathering. “Proportionally, we are the most incarcerated people on the planet. We are not an innately criminal people,” the statement said. “Our children are aliened from their families at unprecedented rates. This cannot be because we have no love for them. And our youth languish in detention in obscene numbers. They should be our hope for the future. “These dimensions of our crisis tell plainly the structural nature of our problem. This is the torment of our powerlessness. The co-chair of the Government-appointed Referendum Council, Pat Anderson, said an acknowledgement in the constitution was “totally rejected” by all of the meetings and people they spoke to over the six month period. “This is a long process we’ve set up now … with people putting up their hands up today and were chosen, we’ve got a very large working group that will continue to work on this process for the next while,” she said. Cape York leader Noel Pearson said there was no enthusiasm for a statement of acknowledgment of Indigenous people in the constitution. He said the delegates agreed that a parliamentary “voice” would be more “substantive”. “It will have a more practical impact Aboriginal people’s place in the democracy,” he said. The announcement is the result of a historic convention in the centre of Australia. Hundreds of Indigenous people from all around Australia travelled to Uluru to try and reach a consensus on whether a referendum on constitutional recognition was needed, and what it would look like. There has been bipartisan support for a referendum on recognition, but there has never been a model for change endorsed by Aboriginal and Torres Strait Islander people. Ms Anderson said in the discussions held by the Referendum Council, people said they wanted a treaty. “In the discussions that we’ve had in the last six months, people want treaty … they don’t want acknowledgment, they want treaty and a truth and justice commission,” she said.